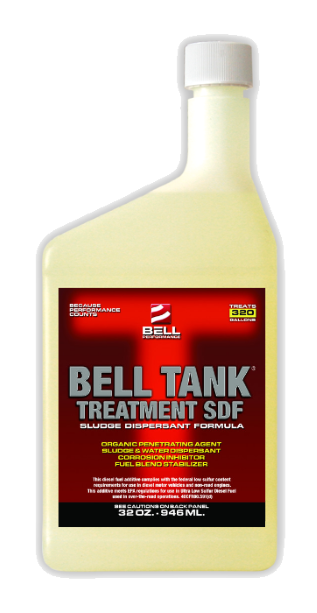 Bell Performance commercial-grade diesel fuel treatments are problem solvers. Whatever the problem, Bell Performance has a solution to save money and give value back to the user. It's simply a continuation of Bell's tradition, that dates back to Robert J. Bell's first problem-solving formulations in 1909 and 1927, and continued in 1954 when Mr. Bell formulated his first multi-function diesel fuel additive. Commercial-grade water controller for stored fuels. Dissolves storage tank sludge and makes biocides work better, too! Diesel fuel lubricity treatment to restore the lubricity of ultra-low sulfur diesel fuels. Speciality cetane improver raises diesel cetane value 4 to 8 points in most diesel fuels, for smoother running, more power, less black smoke emissions and better cold starting. 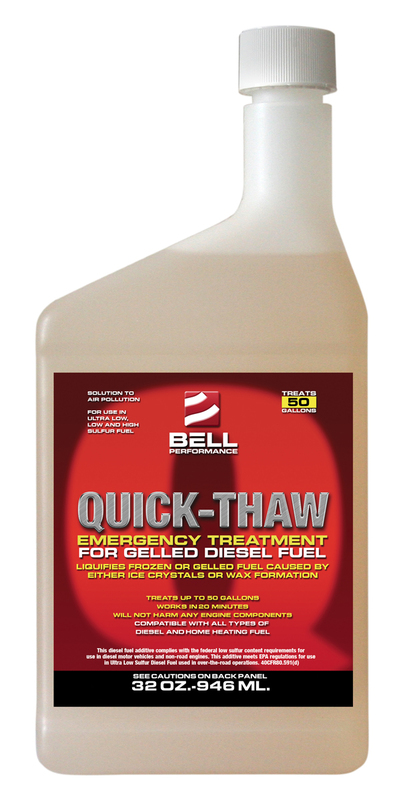 Rescue treatment for cold weather diesel fuels to thaw gelled diesel fuel. Commercial-grade cold weather diesel treatment for lowering the gelling and cold filter plug point temperatures of diesel fuel.